+ 30 SERVINGS PER CONTAINER! 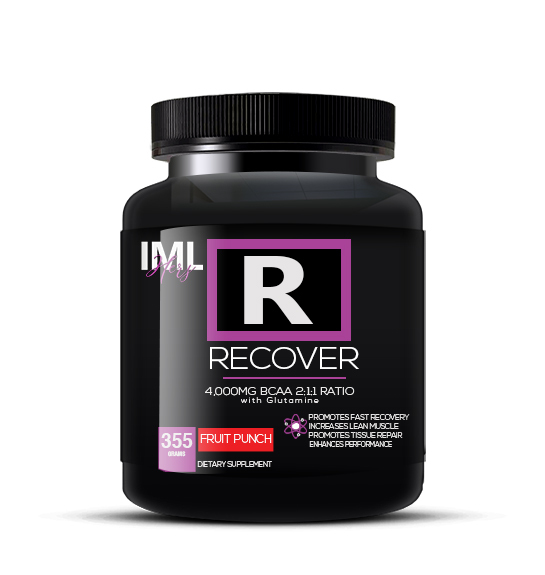 THE MOST COMPLETE RECOVER PRODUCT DESIGNED FOR FEMALES! 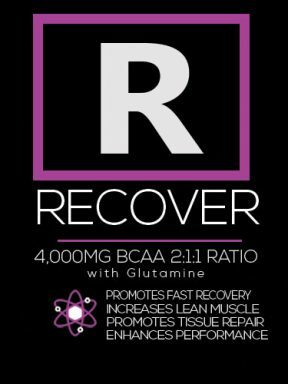 BCAA stands for Branched-chain amino acids: which prevent fatigue and improve concentration, reduce protein and muscle breakdown during and after an intense exercise. 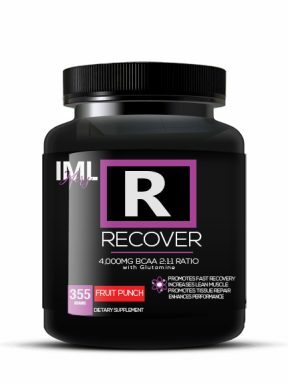 Supplementing with BCAA Post Workout can assist in lean muscle growth, with fast recovery and minimum muscle loss. 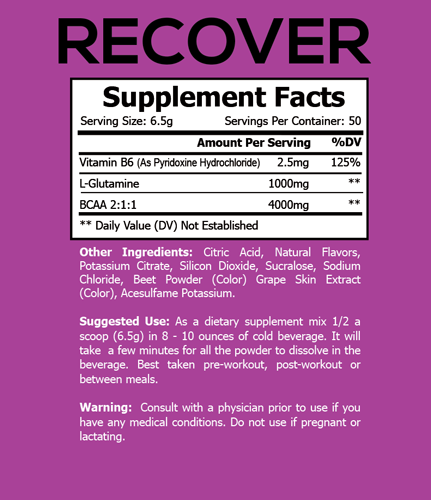 Branched Chain Amino Acids (BCAAs) refers to three amino acids: Leucine, Isoleucine, and Valine. BCAA supplementation, for people with low dietary protein intake, can promote muscle protein synthesis and increase muscle growth over time. It can also be used to prevent fatigue in novice athletes. 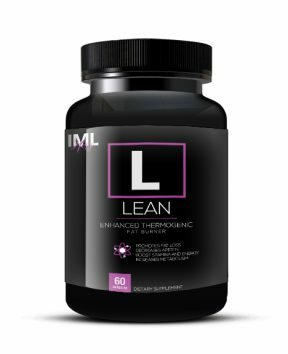 Leucine plays an important role in muscle protein synthesis, while isoleucine induces glucose uptake into cells. 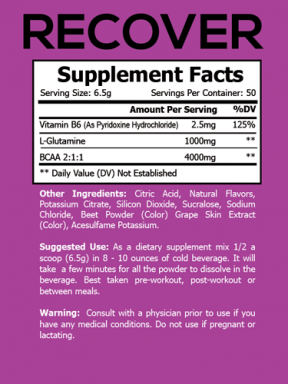 Further research is needed to determine valine’s role in a BCAA supplement. 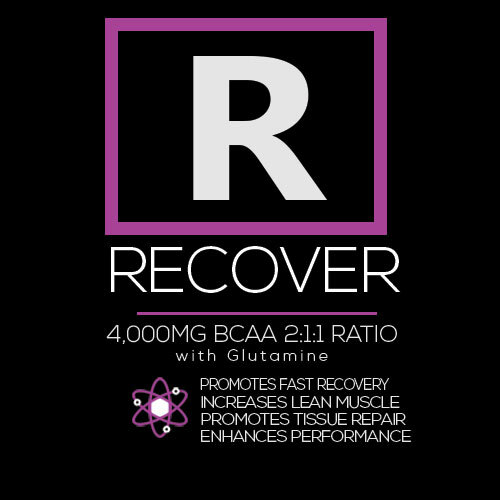 Supplementing BCAAs prevents a serum decline in BCAAs, which occurs during exercise. 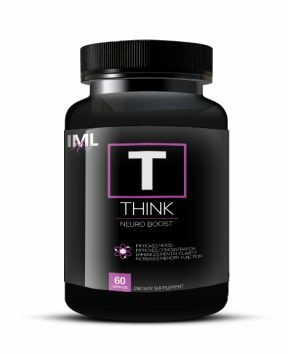 A serum decline would normally cause a tryptophan influx into the brain, followed by serotonin production, which causes fatigue. 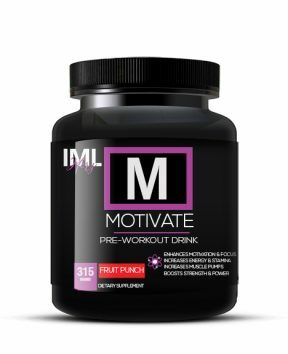 As a dietary supplement mix 1 scoop with 16oz of water or other cold beverage. Do no use if pregnant or nursing, or if you are at risk of, or being treated for diabetes, liver problems or high blood pressure. Consult your health care professional before using any dietary supplements.